Allow our concierge to arrange private charters for you and your family that are available through our partners. 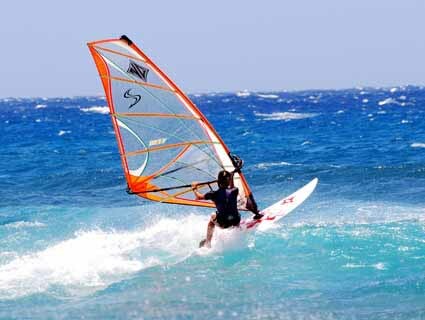 There are numerous water sports activities to choose from in the beautiful waters of the Turks and Caicos islands. View all of Grace Bay’s panoramic beauty from the air on a retractable tethered sail. Soar as high as 450 feet above the water. Suitable for all ages! Whether you’re riding on a board, skis or tube – water sports provide amazing entertainment, even for the spectators! Suitable for those just learning or those adventurous enough to try barefoot skiing. There are plenty of fish in our seas and three different ways to reel them in. 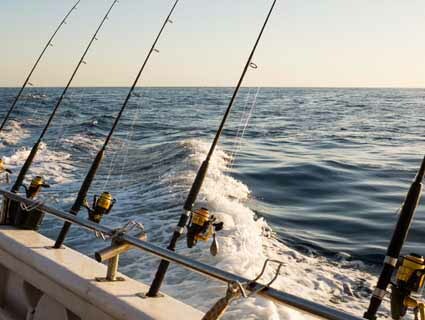 Fishing licenses are easily available ($12 per person) and often included in your fee. Snuba is a great alternative to scuba diving, where the air tank floats on a raft at the surface of the water and is connected to the diver. Groups are kept small for the best opportunity to explore Provo’s fascinating reef. 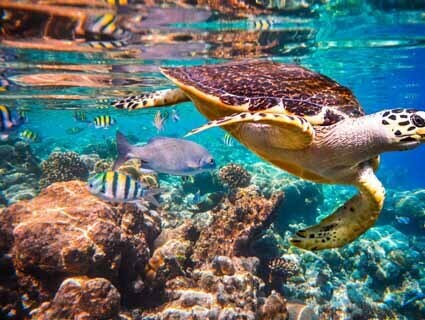 As a visitor under the sea, observe turtles, rays, and countless colorful fish in their natural habitat. A great family experience for ages 8 and up (no certification necessary). 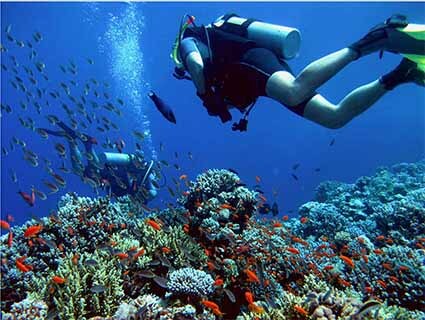 TCI is on the third largest coral reef in the world – which makes for some incredible diving! There’s an abundance of protected sites with pinnacles, canyons and even a 7,000-foot wall drop of Grand Turk. Besides the schools of fish, one may see turtles, rays, sharks or whales. Explore the great water wilderness in private, small, and large group dive trips. 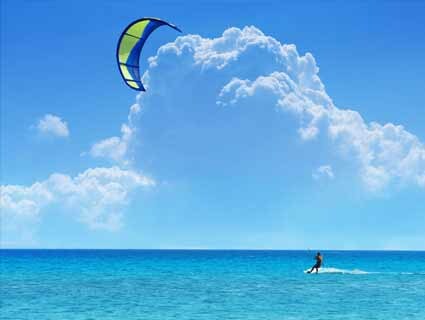 Fly a power kite and surf across the waters of Long Bay Beach. 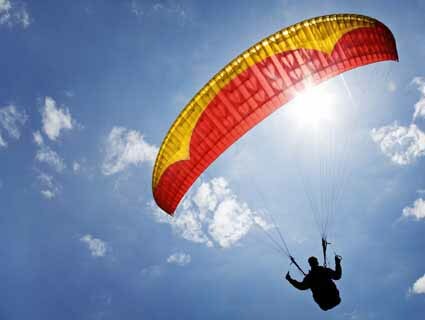 This extreme sport does take some practice and skill, but equipment rental and instruction is available for all levels. Take a ferry to North Caicos and visit Flamingo Pond and Wades Green Plantation. Go off the beaten track and see the beauty of the family islands. Drive across the causeway to Middle Caicos and see the caves where the Tiano Indians lived and left some of their artwork. 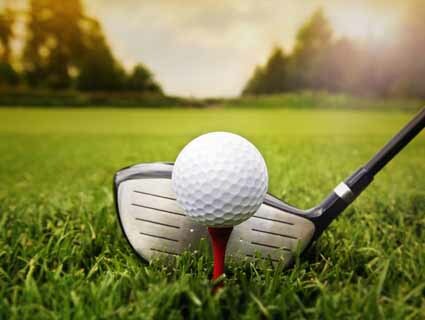 The Provo Golf and Country Club is the only 18-hole championship course on the island of Providenciales. Located in the Grace Bay area, the par 72 Carl Litten designed course challenges players at all experience levels. Fulfill your dream of horseback riding on the beach at sunset, with a backdrop of white sand and turquoise water. Horses are calm and well-trained, offering a beautiful ride for guests with any experience level. (Recommended to book in advance). 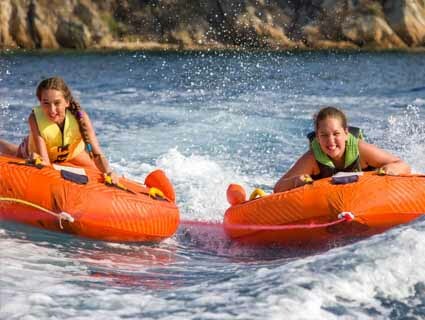 Most non-motorized water sports activities are offered complimentary, by our villa and hotel partners, in many cases snorkel gear is also included. For all other activities, let us help you customize all of your activities for you in advance of your travel. Whether on a girls getaway, a group trip or relaxing with your significant other, there is no better place than Turks and Caicos to take advantage of a spa treatment. Enjoy a beautiful view from the privacy of your suite, or book one of many spas. 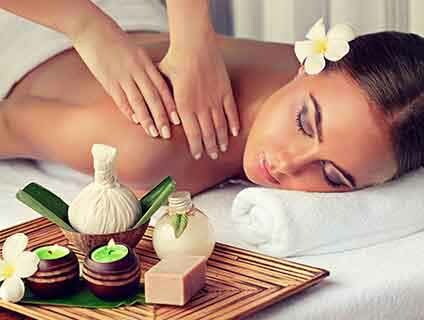 You are assured to enjoy the best treatment. 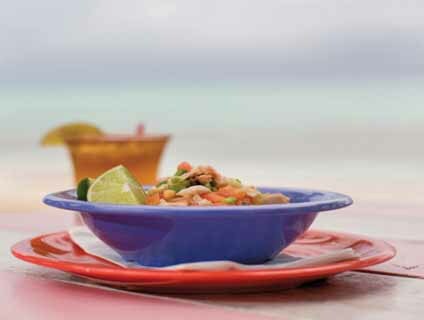 Turks and Caicos have become a sought-after culinary destination, particularly in the last 5 years. From local cuisine to fusion cuisine, there are options for every pallet. If you are visiting for 2 nights or 10, your choices of fusion cuisine, including Indian, African, Asian, European and Caribbean will be well served.